Friends, I’m so excited to finally share this! 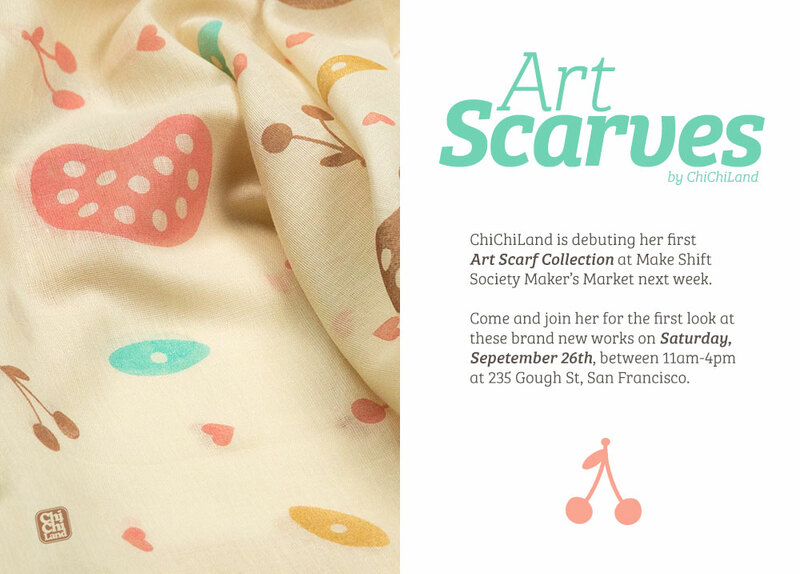 I’m debuting my first hand printed art scarf collection next Saturday in Make Shift Society San Francisco. This lovely creative community, hosting a Maker’s Market for their 3 year anniversary with some of their maker members like me. It is going to be fun! If you’re in town please come and say hi. RSVP here.